Professor Klarman joined the Harvard Law School faculty in 2008. He is the Kirkland & Ellis Professor, and focuses on constitutional law and constitutional history. In particular, professor Klarman focuses on race in the context of constitutional history. He came to Harvard Law School after teaching at the University of Virginia. After graduating from Stanford Law School, he received a D.Phil. in History from Oxford University as a Marshall Scholar. He clerked for the Honorable Ruth Bader Ginsburg while she was on the Court of Appeals for the D.C. Circuit. He received an M.A. and a B.A in Political Theory from the University of Pennsylvania. Professor Klarman has written extensively on race and the constitution,, constitutional history, the Civil Rights Movement, as well as the role and shortcomings of the Supreme Court. You can read more about Professor Klarman here. The controversial thesis of this book has continued to reverberate long after its publication. The subtitle asks if courts can “bring about social change”. 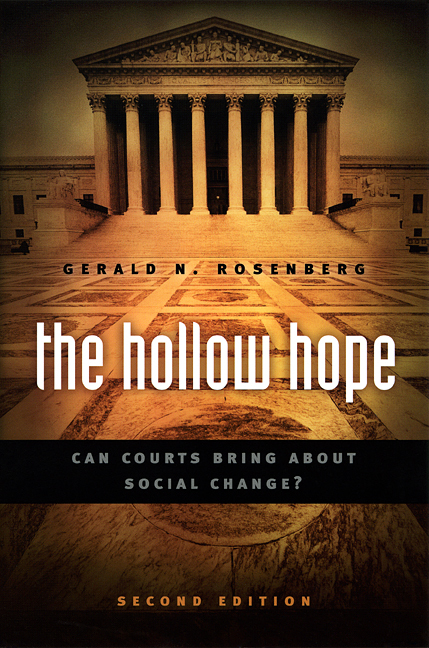 Rosenberg argues that american courts are poor vessels for social change, as courts are weak, inflexible, and because judicial victories are often followed by much longer backlash. Professor Brown-Nagin’s book is a critical history of the Civil Rights Movement. It is wide-ranging in scope, and critically asks whether the movement benefitted poor and working class people of color as much as it did the middle class. 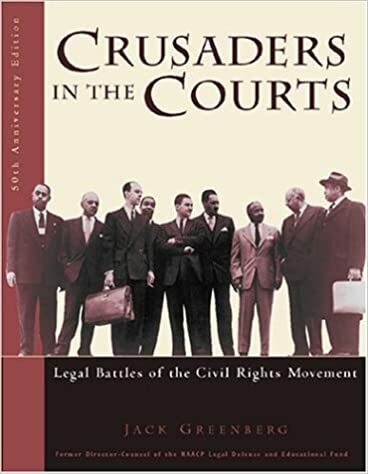 The book also highlights the role of lawyers in realizing the Civil Rights Movements’ aims. In his Bancroft Prize-winning book, Professor Klarman examines the Supreme Court’s rulings on Race. 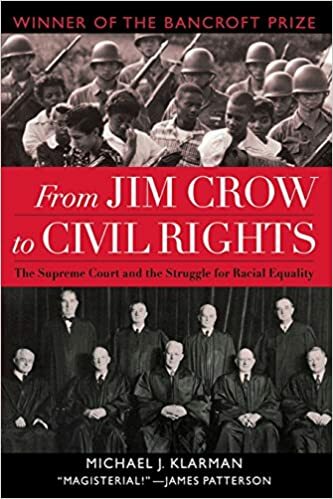 In so doing, he echoes Rosenberg by arguing that more than a catalyst for social progress, Brown v. Board of Education served to organize massive backlash on the part of Southern whites. In this article, Professor Klarman again reiterates a skepticism for the notion of courts as countermajoritarian havens. He identifies different understandings of the role of the Supreme Court as they exist in scholarly literature, he then asks why most people understand the Court in such an optimistic light, and he advocates for a deeper understanding of the forces driving Supreme Court decisions. Jack Greenberg was an important and active figure in the NAACP Legal Defense Fund during much of the Civil Rights Movement. This book is a memoir recounting his experience behind the scenes of key litigation battles that shaped American history.